​Lesley Towers, previously known as Park Towers, was built in 1963 in partnership with HUD. It is a 12-story complex containing 158 studio apartments and 40 one-bedroom apartments. Lesley Towers is a vibrant, supportive community that provides affordable housing and enhanced services for older adults with low incomes. The building has undergone major improvements in the past few years to ensure that it continues to provide affordable, safe, quality housing. The property offers well-maintained, comfortable apartments each with its own kitchenette. 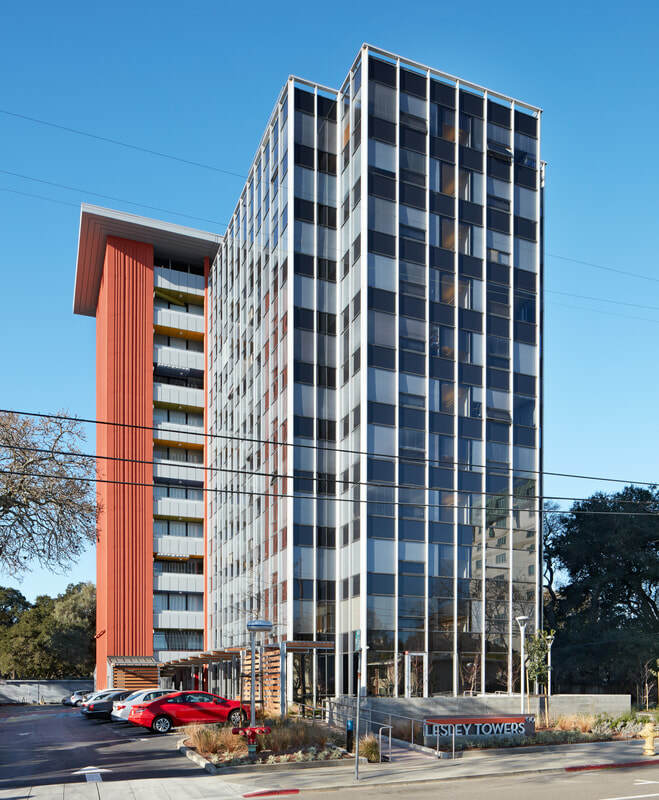 Lesley Towers is conveniently located in downtown San Mateo, directly next to the greenbelt of the Japanese Garden and Central Park and just blocks from the public library, the local senior center, and public transportation. The convenience store on-site is run by the Residents Committee. Management staff is available during regular business hours, and there is a Resident Manager on duty after hours and on weekends. Lesley Towers provides housing only. There is presently no meal program, and this facility is not licensed to provide assisted care services. Applicants must earn less than the Very Low income limit, as classified by HUD.